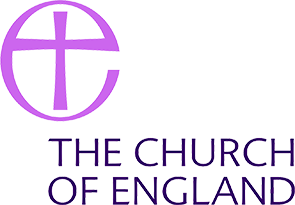 At Boxted St Peter’s Church of England Primary School we strongly believe PSHCE is a fundamental aspect of education. Using well planned weekly PSHCE sessions, PSHCE focus weeks and inspiring visits, the children at Boxted St Peter’s Primary school are given the knowledge and skills to prepare them for life in the future. Our whole school ethos, Christian values and school environment nurtures, builds pupils’ self-esteem and promotes emotional well-being. We encourage children to respect themselves and others at home, in school and in the wider community. The PSHCE curriculum at Boxted St Peter’s C of E Primary School has been created using guidance from the PSHE Association. The PSHCE Co-Ordinator has devised a long term plan for every year group so that all areas of PSHCE education are taught and children are provided with the skills they will need to form good relationships, stay safe and confidently face any future challenges. At Boxted St Peter’s Primary School PSHCE is at the heart of everything we do. We feel that through charity visits, workshops, community projects and focus weeks, in addition to weekly sessions, the children experience a purposeful and inspiring PSHCE education. Find out more about our PSHCE curriculum here.